Ok, so let’s chat John Varvartos. Now this is a male fragrance line, one I’d never heard of before, but bear with me. I popped into Jozi for the launch the other day and learned that John is a fancy pants designer who used to work for Ralph Lauren and Calvin Klein before going his own way and now the dude’s got his own fragrance collection. It’s been going strong for ages overseas (apparently it’s the best-selling men’s fragrance line in Korea) and now it’s hit SA shores with a bang. 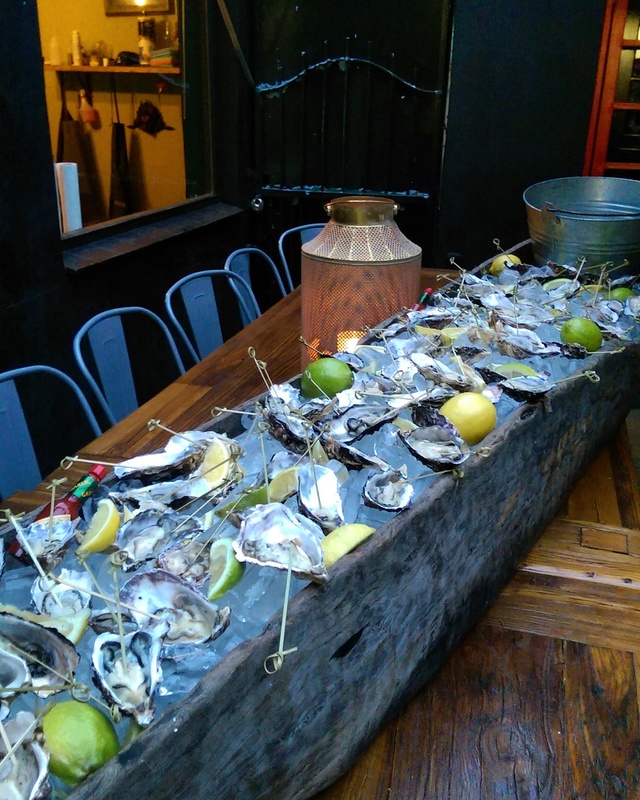 The launch at Hell’s Kitchen in Mellville was pretty epic in that we were greeted by flaming rum cocktails and a giant mother truckin’ canoe filled with oysters. Do you know how hard it was not to climb into this bloody thing and row it back to my hotel room? 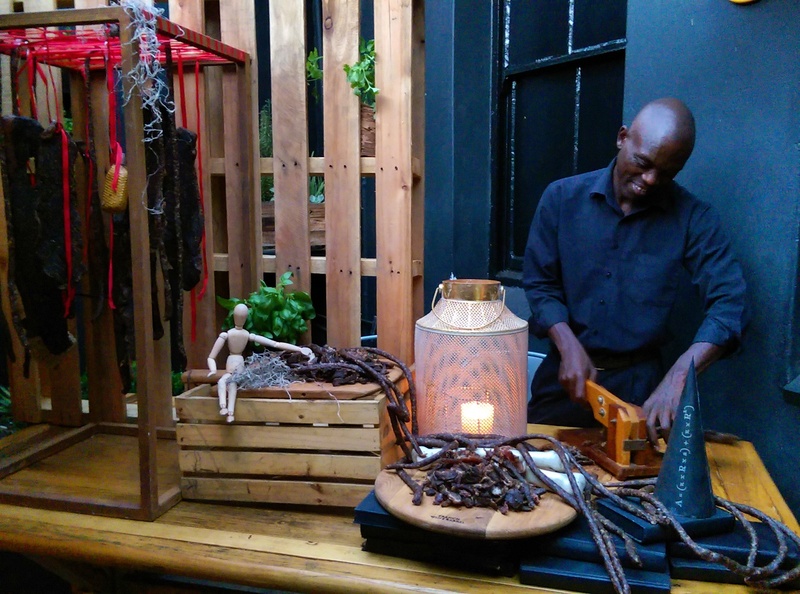 They had a biltong bar too! Jaaa, Jozi. You do it with style, mos. There was a live band playing at some point too but I can’t remember their name ‘cos, hello! Flaming rum cocktails! But ja, let’s chat about the fragrances. There are five in the collection and each one is beautifully ‘dressed’ in a bottle that reflects the scent’s character. I’m not going to bore you to tears by reeling off names that’ll mean nothing to you. Rather go and check out John’s site to see what I’m talking about and then step into Edgars, their exclusive SA home to give them a sniff. What I want to chat to you about specifically is a scent called Artisan (R1 195 for a 75ml EDT, selected Edgars and Red Square stores). I’m very proud of having taken this shot while sky-high on a merry mix of muscle relaxants and booze and it turned out great. New work ethos? Despite being made for le males, Artisan is one of my new favourite scents and I’ve been spritzing it on like a mofo. John describes it as an ‘electrifying citrus’ with clementine up top, ginger root and orange blossom in the heart and a base of woody musk. To me, however, it smells a helluva lot like Tom Ford’s Neroli Portofino. Like sooooo much, y’all. Whenever I’m in an airport or at a super fancy department store I find myself gravitating towards that scent and dousing myself with it. To me, it makes me think of a fantasy day at the beach in Sicily involving yachts, Aperol-infused cocktails and that hot guy who lounges around in the boat in those Dolce & Gabbanna ads. I’ve often thought about buying it and can’t remember the cost exactly but just know that it’s, beyond, horrifying. Wait! Let me google it… GOOD GOD! It’s R2 695. TWO SIX NINE FIVE! That’s basically half a plane ticket to bloody Sicily itself. So, ja. No thanks! I got bills to pay and an expensive car service coming up. No Tom Ford me. No, no, no. But all is not lost. 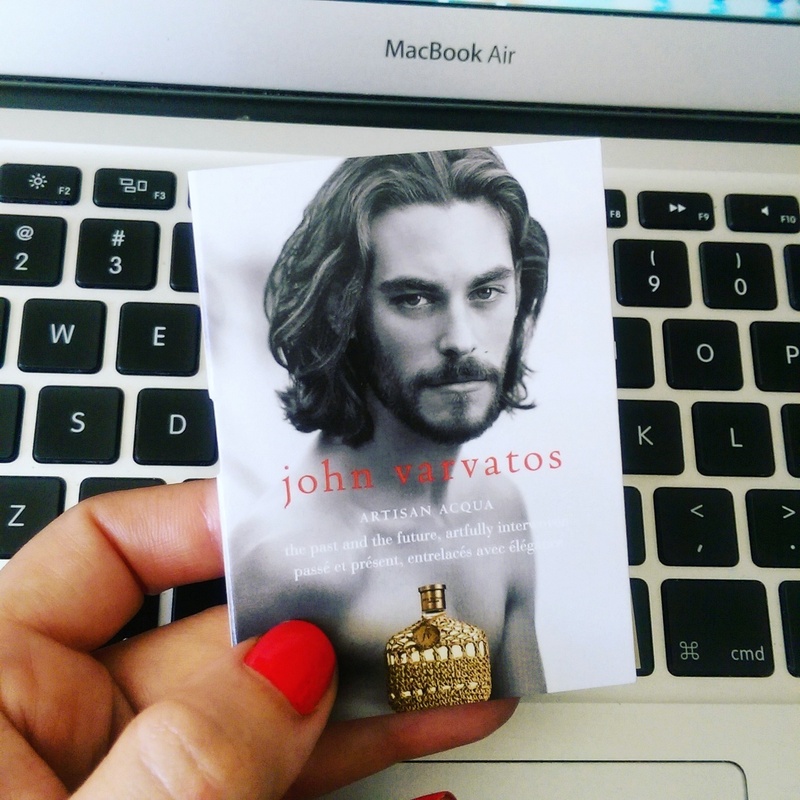 I now have John Varvartos Artisan in my hands (and on my neck… and on my wrists… and on my clothes…) and I’m the happiest little financially savvy camper on the block, yo! I’m also taking great delight in spritzing it on my girlfriends and not telling them that it’s a male fragrance and enjoying their surprise at the fact that it wasn’t made with chicas in mind or at least touted as unisex. 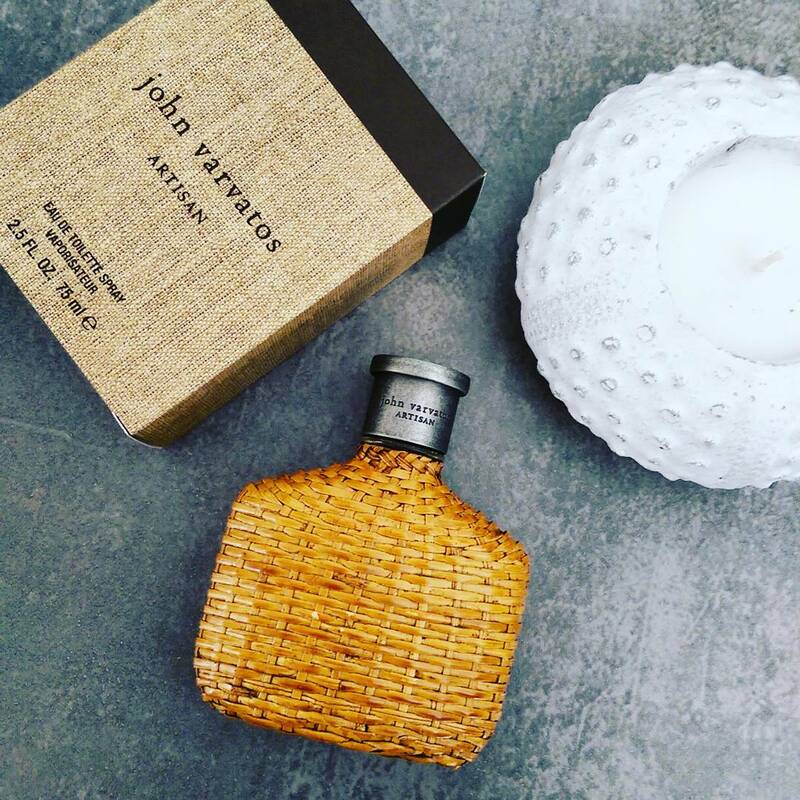 There’s another John Varvatos scent that’s even more aquatic and beachy smelling and that’s Artisan Aqua and while that’s heavenly too, it’s definitely more male smelling as opposed to unisex. I’d douse my hot D&G boat boy in that particular scent and keep regular Artisan for myself. I’ve only got the sampler for this one. Or I had it. My cousin Pete’s rocking it now. Anyway, if you’re keen to try the new line, get on down to a selected Edgars and experience John Varvatos for yourself. And if you sniff Artisan, let me know your thoughts. I’d love to hear them. Also, is there any male scent you happen to love and adore and happily wear yourself? Let’s chat in the comments section. P.S. Major props to Lauren Watters and co for throwing one killer party. Girl really went the extra mile to the point that she even brought a round of cinnamon-infused whiskey shots to the window of my shuttle as it left the party. Can you say (or slur) ‘best drive-thru evvverrrr…’?